I see people eager to learn baking. I am excited to teach them but I sit and also wonder if they really know what it entails!! Human beings, we always think the other person’s life is better than ours! We want to have that nice job or house or car or whatever that person we admire has. We forget though that there is a price to pay for everything. The price is different for everyone since we are all different. Let’s think of our individual personalities, callings and purposes as a currency or visa. You can only buy or enter if you have the right currency or visa. Find your country with the visa God gave you at birth. Don’t die or live a miserable life trying to forcefully copy your way into another person’s country! Let’s find ourselves and thriving will be automatic! 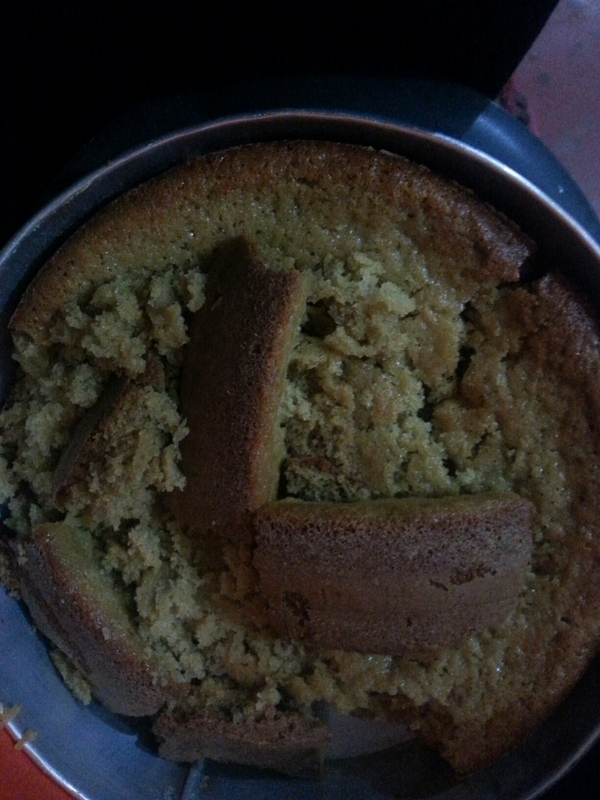 This spongy cake fell as I was transferring it to the tray!! I nearly cried!! Sigh! A replacement is in the oven right now. Failure gets me down only for a while because I can’t seem to control my urge to bake. I rise again…. God is great!! Question. Where is this cake? lol! I want it for tea 😀 I dont think I’ll get to a point where I cant stand cake. Haha! As usual your biashara stories inspire me. They keep me going.